Flashback…Delhi: 1990s; summer; early morning rush on the roads; women rushing to work and colleges; some in ‘chartered buses’ while others in auto-rickshaws; some driving to work…and amongst all this was noticeable an ocean of whites…most of those whites belonged to the much loved ‘Lucknawi Chikankari‘ family. This beautiful ‘chikan’ comes in all sorts of colours, but the eye notices what it wants to notice and the mind remembers only what it wants to remember (hence the stress on the colour white), though, in my defence, I must mention that traditionally ‘chikan’ work was done using white thread on a white fabric only! Fast forward to 2017; not much has changed…Travel scenes are the same, just busier; still lots of ‘chikan’, both in whites and colours can be spotted everywhere in the summer days… Somethings stay in our lives forever.…’Chikan’ certainly tops that list. It’s a special kind of embroidery, that apparently has been around since the times of the Mughal rule in India. Several designers and NGOs continue to use this style of embroidery on various garments. This style is made up of 35 different stitches and you if fancy, then you can read more about these, right here. If like me, you are fascinated by the history of this embroidery style, then please do have a read of this brilliantly written article in the Selvedge magazine; right here. 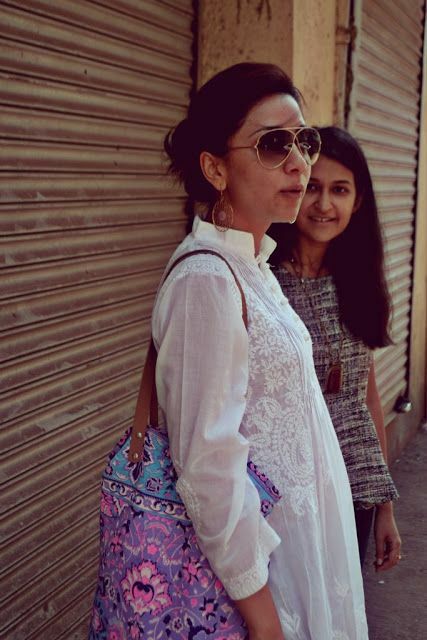 How can you style your ‘Chikankari’? 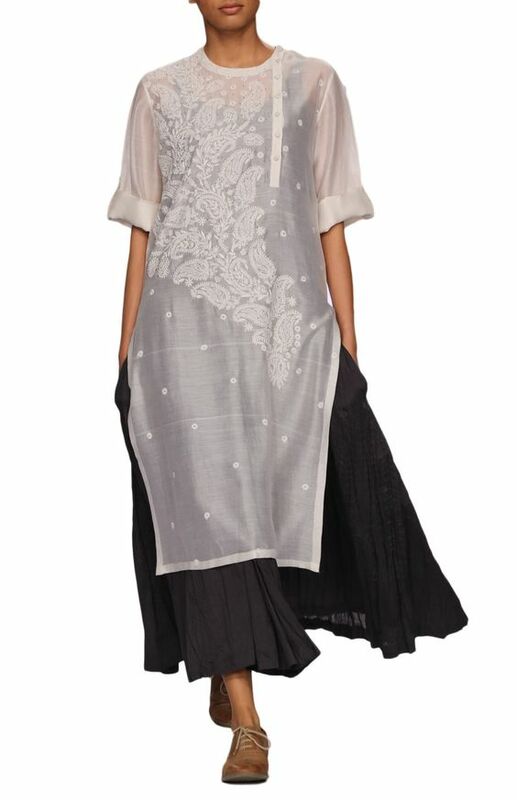 Where can you but your ‘Chikankari’ from? And of course! 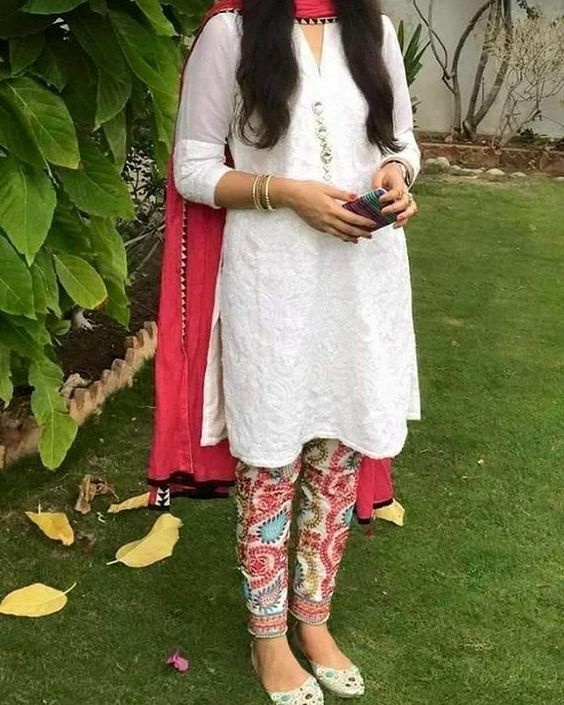 you could always get a lovely piece of ‘Chikan’ fabric and get it tailored in a style that you want…Summers are never complete without ‘Lucknawi Chikan’. Get yours today! Continue to support this ancient style of embroidery…be notjustashopper!